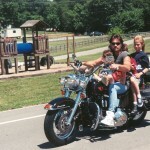 Picture Left to Right: Bill Ray Cyrus, Dweezil Zappa, Billy’s wife Tish Cyrus, and Ahmet Zappa. 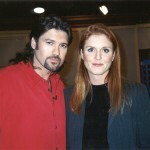 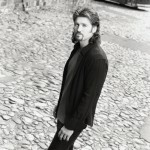 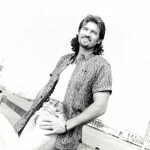 Billy Ray Cyrus, the crown prince of country music, hooked up with Sarah Ferguson, The Duchess of York, when both made a guest appearance on the syndicated Donny & Marie television program. 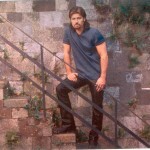 Thanks to a tip from Heidi Mark, whose real life boyfriend is the heavily tattooed Vince Neil of Motley Crue fame, it was off to Sunset Tattoo on the world famous Sunset Strip in Hollywood. 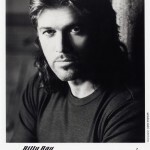 Cyrus opted for a black tribal armband on his left bicep from ink-slinger to the stars, Lisa Bernabe, whose clients include Dennis Rodman, LL Cool J., baseball star Bobbie Bonilla, Robin Quivers from the Howard Stern Show, actor Daniel Baldwin, to name a few. 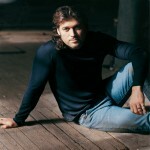 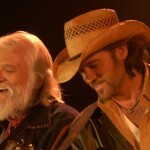 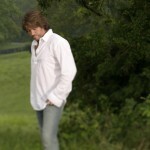 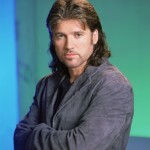 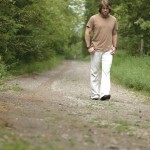 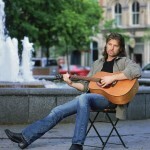 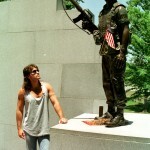 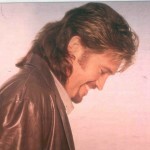 Billy Ray Cyrus rehearsing his lines as director Jim Bradley focuses the shot. 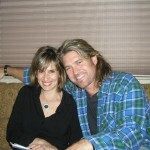 Billy Ray Cyrus and Dedee Pfeiffer in a steamy love scene. 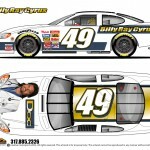 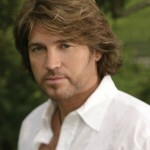 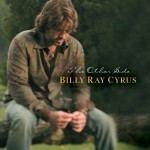 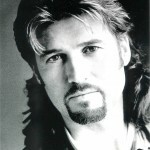 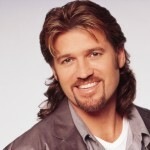 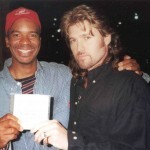 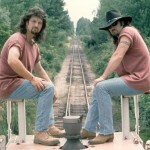 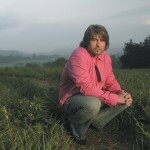 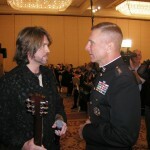 Billy Ray Cyrus with his look-alike stunt double. 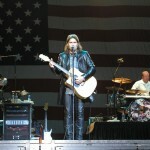 Billy Ray Cyrus performs in front of Old Glory at the San Diego County Fair in Del Mar, CA. 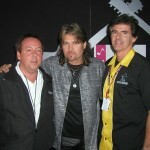 Billy Ray Cyrus (center) congratulated for a great audience turnout backstage at the San Diego Country Fair by Jim Gosnell/President of Agency For The Performing Arts (APA) (left) and Tim Fennell General Manager of the Del Mar Fairgrounds (right). 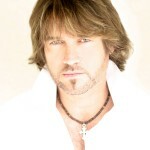 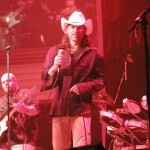 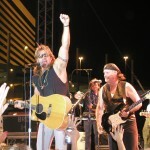 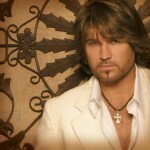 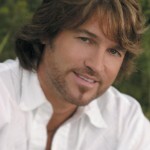 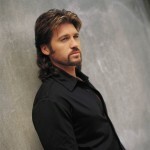 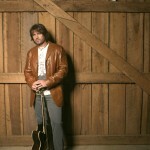 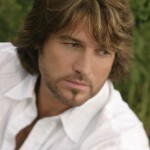 Billy Ray Cyrus rocks the crowd at the Stratosphere in Las Vegas. 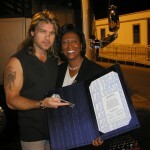 “Doc” TV star Billy Ray Cyrus is surprised by a visit from “Doc” actress Ruth Marshall (portrays Ms. Donna DeWitt on the show) backstage on his bus at the gig in Las Vegas. 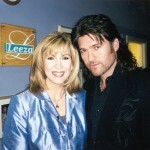 Pictured left to right: Tammy Cochran and Billy Ray Cyrus. 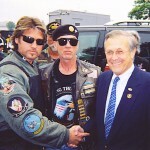 Pictured Left to Right – Billy Ray Cyrus, Artie Muller – President of Rolling Thunder and “Run To The Wall” event, and U.S. Defense Secretary Donald H. Rumsfeld. 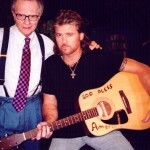 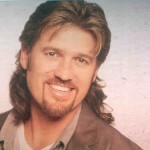 (L-R) are: Billy Ray Cyrus and host Rev. 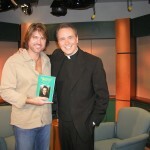 Monsignor James Lisante. 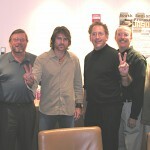 Pictured left to right: T4T’s Middle TN. 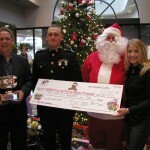 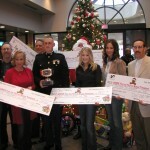 President Rob Kohls, Marine Captain Thomas S. Little II, Santa Claus and Lila McCann. 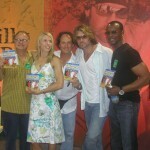 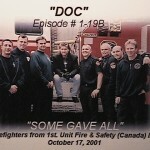 Pictured , left to right, Derek McGrath (Dr. Derek Herbert), Andrea Robinson (Nurse Nancy Nichol), Ron Lea (Dr. Olive Crane), Cyrus and Richard Leacock (Officer Nate Jackson).